We offer Garden Landscaping to our clients at superior range. These services are provided to our clients with most economical prices. 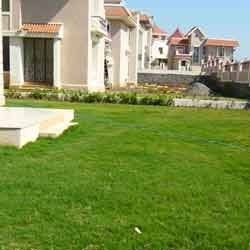 These landscapes are designed as per the specifications provided by the clients and can be customized as per the requirements of the clients. These services are offered with latest technology and our experts are well trained to provide this type of designing for the landscapes. Incepted in the year 2003, Green Tech Nursery started as a consultancy service provider for Horticulture, Landscape Designing, Garden Consultancy, Landscape Decor and Garden Maintenance. Later we started off with our own full fledged nursery in 2001 and became one of the leading suppliers of Nursery Plants, Rose Flowers and various types of roses for all occasions. Our consultancy services stand class apart owing to their reliability, flexibility and cost-effectiveness. Our services are availed by our clients based in diverse Agro Industry. Under the able guidance of our owner Mr. Ratan Das, we have carved a niche for ourselves in the domestic market. His sharp business acumen and industrial experience has enabled us in providing flexible and reliable consultancy services to our valued clients. With the support of his valuable inputs and well planned strategies, we have been able to provide services for various Horticulture Projects in and around Pune. We believe in the policy of 100% customer satisfaction. This has not only enabled us in improving our consultancy services, but has also helped us in maintaining its quality in a long run. Our clients avail our services and get their queries quenched by our consultancy. To avert any sort of inconvenience in fetching information about our firm and services, we have various outlets with tools and equipment.